CHICAGO (WLS) -- A suspected Subway sandwich shop robber was caught hiding out inside a Potbelly sandwich shop across the street in Rogers Park, police say. Police were first called to the Subway near Loyola University around 4:50 p.m. in the 6400-block of North Sheridan for a man armed with a knife April 26. The man had announced a robbery and fled with an unknown amount of cash. Officers gave his description over their radios, and it was learned he fled into the Potbelly across Sheridan. Officers responded and say they found the 43-year-old suspect inside. He was led from the Potbelly in handcuffs. Fredrick Warren is charged with armed robbery. 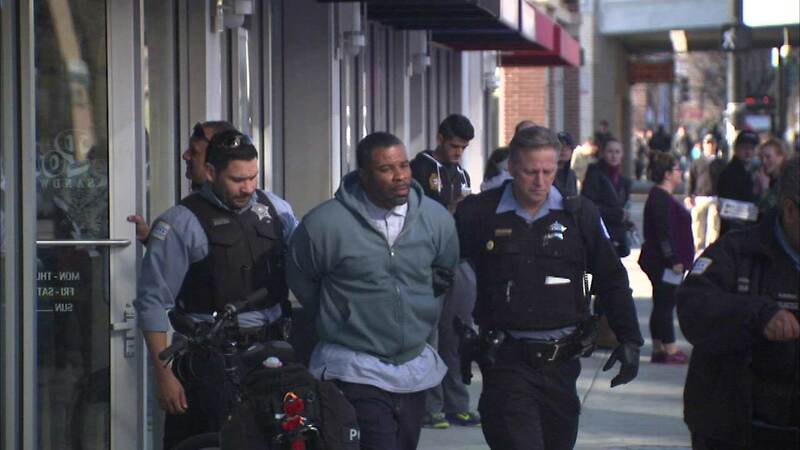 Fredrick Warren is accused of robbing a Rogers Park restaurant.